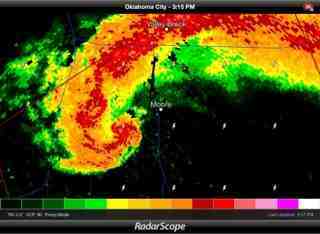 Just a few pics from my twitter feed today as it relates to the incredibly devastating tornado(s) today!! 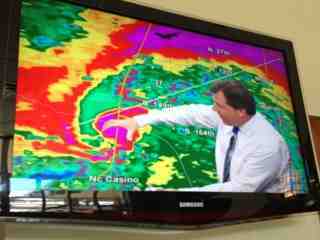 You can see the City of Moore in dead center of the track of this massive tornado. 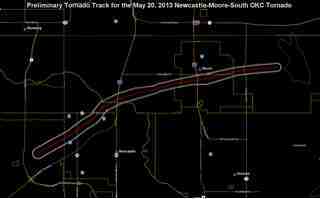 This is the track of the massive tornado. Massive cleanup effort underway in the area. I-35 is closed for likely a 15 mile stretch to detour traffic out of the area. You can donate to the Salvation Army by going HERE! Also suggest you try following ANY twitter feed without a twitter account by using FastFollow. type "follow @jaythebanker" to 40404. Have a great evening and donate to the area and certainly pray for these dear families..